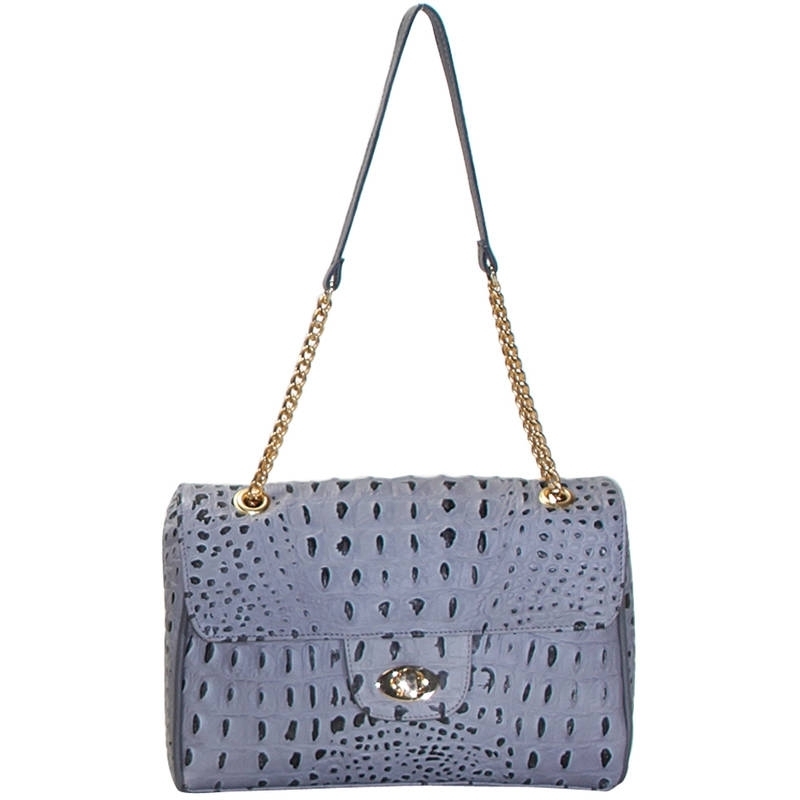 Small crocodile print handbag also usable with metal and leather shoulder strap. The shape and simplicity characterize the classic line. Excellent for formal occasions. Color grey and plain pattern.